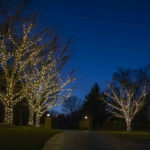 Sprinkler maintenance can make all the difference. 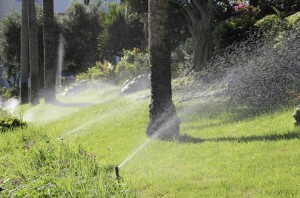 Have you performed any maintenance on your sprinkler system yet? If you haven’t, then you should strongly consider taking a little time out of your weekend to do so. Performing regular maintenance on your sprinkler system is going to save you from having to replace it sooner than you might have expected. So, are you ready to learn about how you can check in with your sprinkler system before summer hits? Here we go! Make sure that all of your manual valves have been closed. You may have opened them up when you drained the system in the fall, so check them out before getting started with your watering. The next thing you can do is open the main valve slowly so that the piping between it and the backflow can fill. Now, to pressurize the mainline, you need to open a control valves and allow the water to push out any rouge air pockets within your system. You should also have your backflow checked out by a professional to make sure it is running effectively and efficiently. Give you system a quick once over to check for anything that looks out of place. 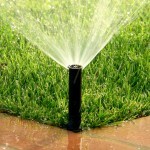 Once you have done this, you can go ahead and start checking each part of the sprinkler system. Run each zone individually and stay on the lookout for leaks. Make sure the sprinklers are spraying properly and that there isn’t dirt or debris on the nozzles. Your sprinkler system could use a rain sensor. 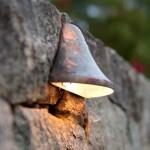 Do you have a rain sensor hooked up to your sprinkler system? 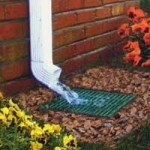 It can help to keep your system working efficiently by shutting it off when rain gets up to ¼ of an inch. Think about it. It might help. Need Help with Spring Sprinkler Set-up? 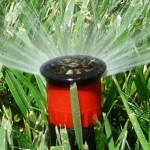 The best way to avoid causing more problems with spring sprinkler set-up your is to call the professionals. It can be a difficult job to perform on your own, especially if you’ve never done it before. To talk to someone about spring sprinkler set-up, in Baltimore, Maryland or the surrounding areas, call Aqua-Bright today at 410-489-9009 or take a tour through our website. This entry was posted on Friday, May 15th, 2015	at 5:55 pm	. You can follow any responses to this entry through the RSS 2.0	feed. Both comments and pings are currently closed.